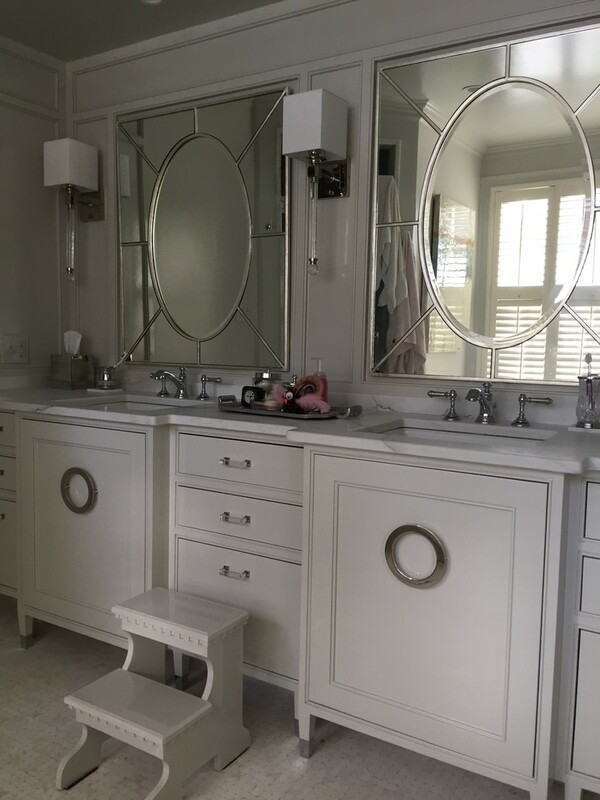 These cabinets are hand finished to create a very durable finish that has a very delicate look. The mirror frames are leafed with real silver leaf to produce a high quality finish. 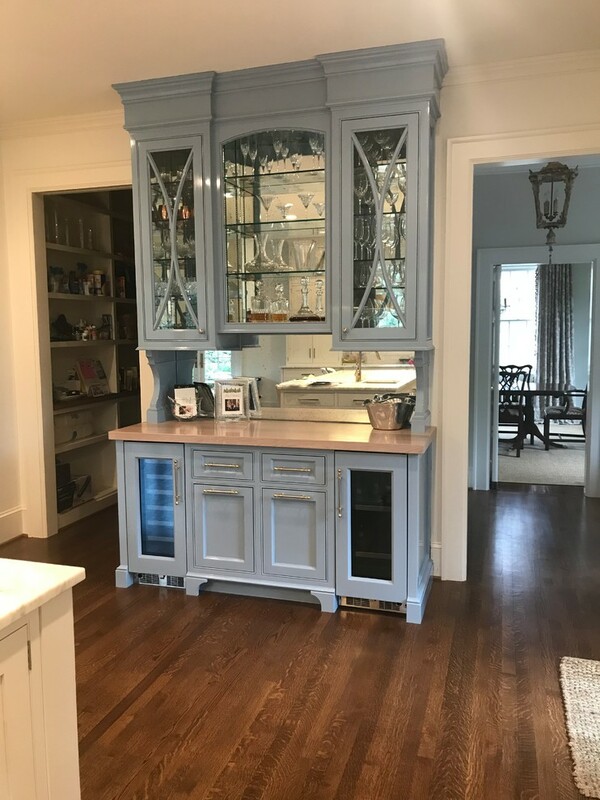 These cabinets are colorful and classic. Creates an interesting space for our clients. The glass like finish on these cabinets create a new dimension in this home bar. The reflections on these cabinets helps to open up this kitchen by moving the outside in. These beautiful black cabinets have a mirror like finish. Painted with Fine paints of Europe Brilliant these cabinets have stood the test of time. Photo taken 4 years after completion of project.